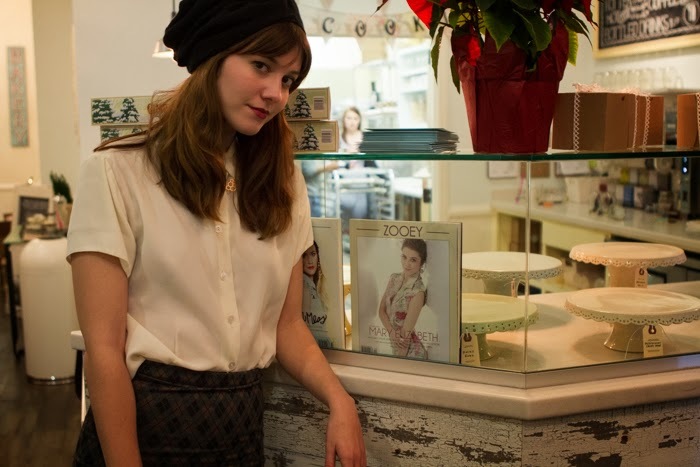 This past weekend, we went to Zooey Magazine’s "Cookies, Crafts & Cocktails" party at Milk Jar Cookies. You may recognize the location from when Amber & I went there a few months back for “blog research” aka to try as many cookies as our stomachs could hold. 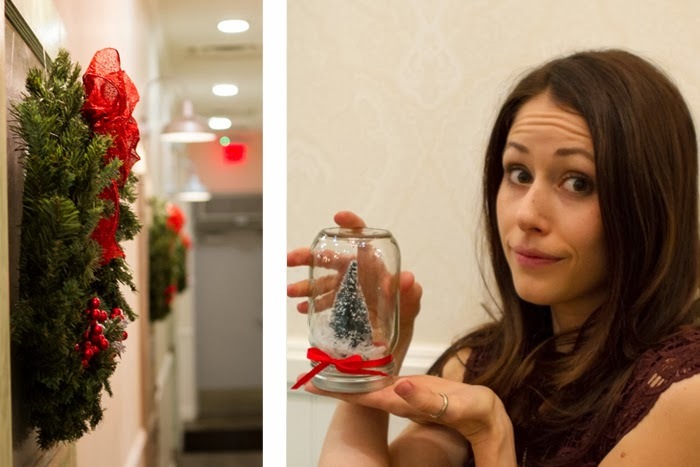 As you can imagine, we were excited for a night filled with all our favorite things: Cookies (specifically Milk Jar Cookies), Crafts & Cocktails! When I first walked into Milk Jar Cookies and saw that the craft activities included Anthropologie-inspired snow globes, I texted Amber immediately with a message that involved an excessive amount of exclamation marks, followed by a healthy dose of holiday emoticons. 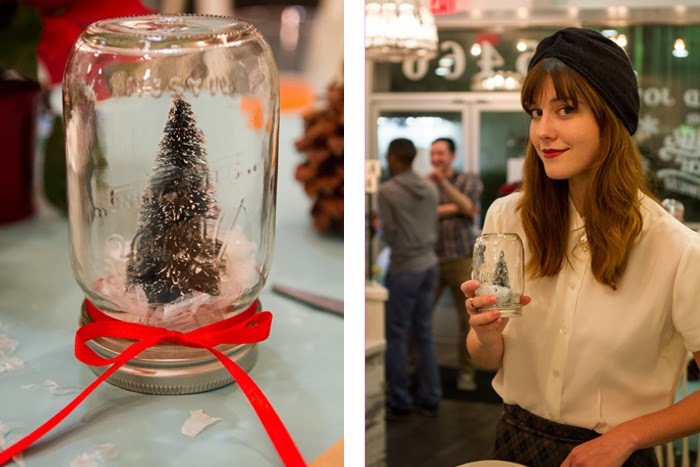 These snow globes have been on our craft-to-do-list for a while now, so naturally we were pumped to be making them. 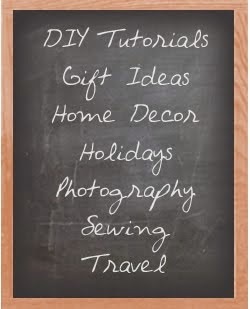 It's a really simple craft that you can easily do yourself. 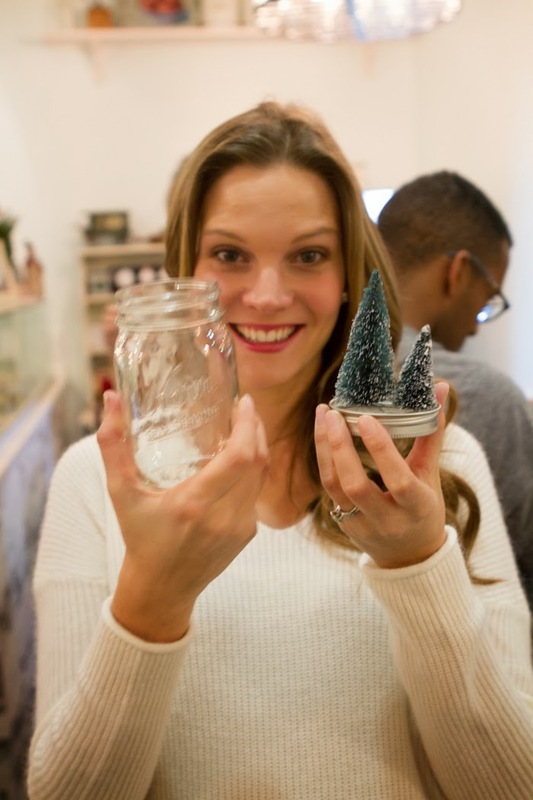 All we did was pick out a tree (like these), hot glue them to the inside of the Mason jar lid, add some fake snow and then close it up. Amber had some minor difficulties when she tried to squeeze two trees onto her lid which then wouldn't fit into the jar. This resulted in her attempting to rip off her already-glued-on tree, bending her lid in half and cutting her finger open. A minor #craftfail. The end result, however, was a success. The other craft of the night was a gorgeous glitter pine cone. 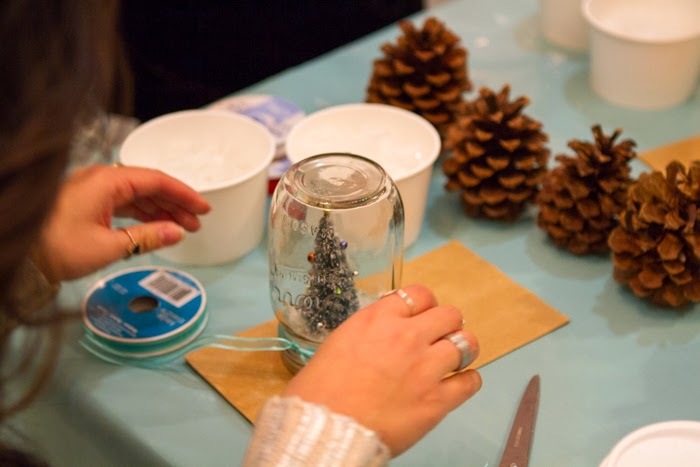 A simple, yet beautiful craft where you spray your pinecone with an adhesive glue and then toss it in a paper bag with some glitter and shake it up! 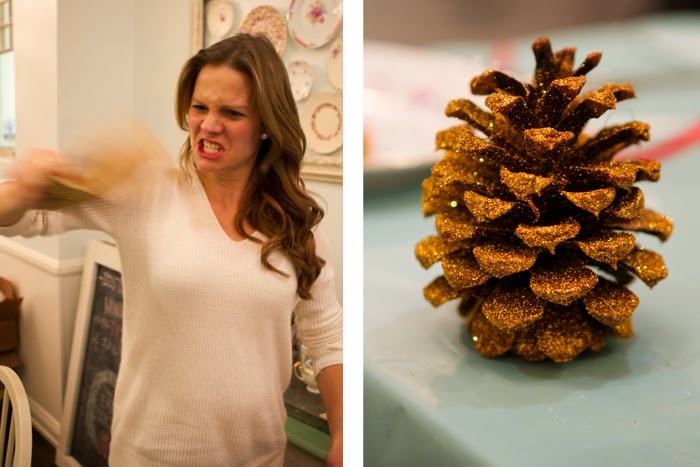 Amber got really aggressive with her shaking technique which resulted in a perfect glitter pine cone. 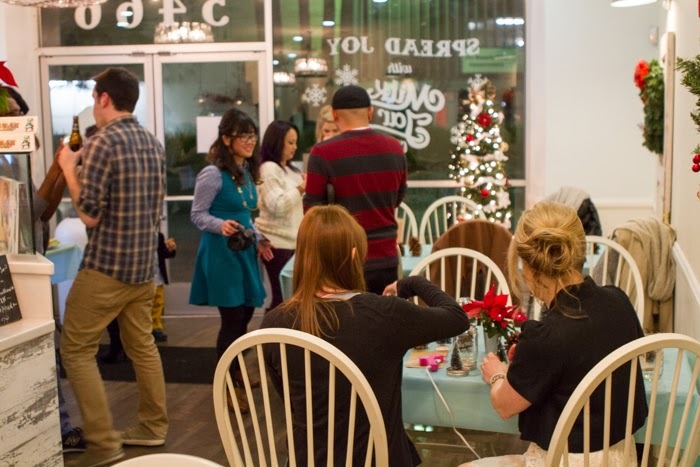 As we all crafted, we enjoyed way too many delicious cookies. 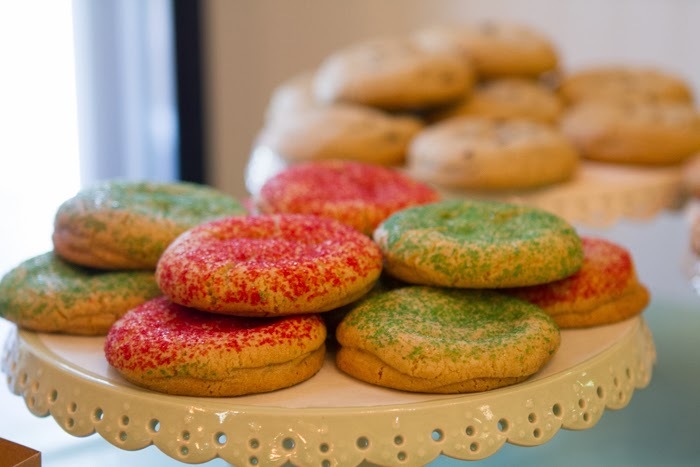 The flavors of the night were Gluten-Free Chocolate Chip, Cinnamon Sugar, and Peppermint Candy Cane. It’s hard for me to put into words how delicious these cookies are. Courtney, from Milk Jar Cookies, has seriously mastered the art of a crispy edged cookie with a ridiculously chewy, melt-in-your-mouth center. If you live in Los Angeles I highly recommend that you stop by IMMEDIATELY and try a few for yourself. As the night was coming to a close, Mariah Carey’s Christmas album (the best Christmas album, in my opinion) was blasting and, naturally, a full-blown dance party and lip-synch followed suit. 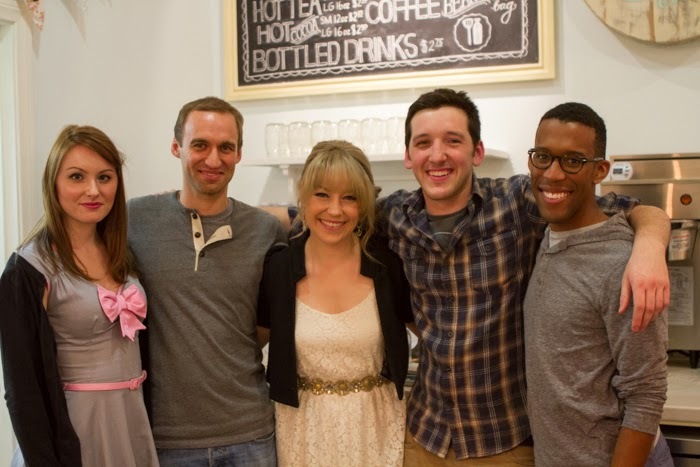 It was so great to finally meet Courtney and her husband Adam, who own Milk Jar Cookies, and talk to them about starting their dream business. 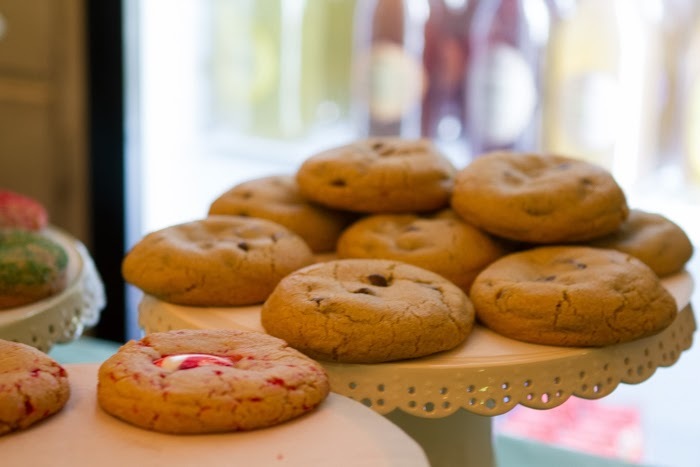 You can feel the amount of love and passion that they have put into their shop, from the details of the decor to the deliciousness of their cookies. 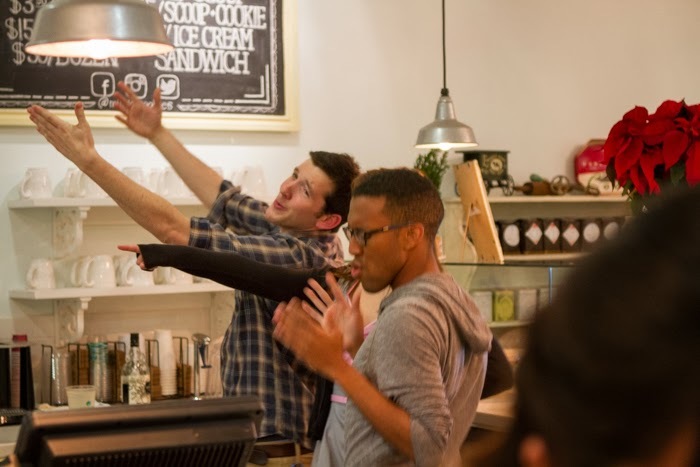 Also, their staff (who were leading the Mariah-dance-party) are a group of amazingly positive gems that genuinely love to work there. As if the night wasn't already the greatest ever, we were all lucky enough to leave with our own boxes of take-home cookies, the cutest hair ties from Emi Jay and a Mason jar tumbler from the Mason Bar Company! 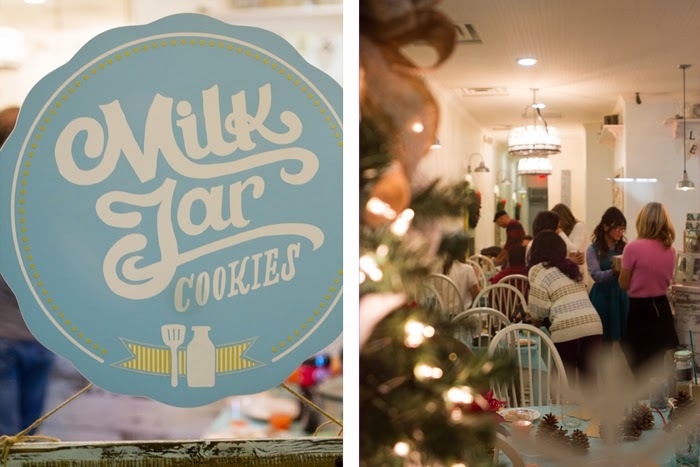 Thank you Zooey Magazine and Milk Jar Cookies for inviting us to such a fun, festive party. Looks like you had a great time! I need to try out a few of these! Love your outfits as well. Darling! Thanks CSL! Bethany was there, but we didn't grab any pictures with her. She was a crafty sweetheart! 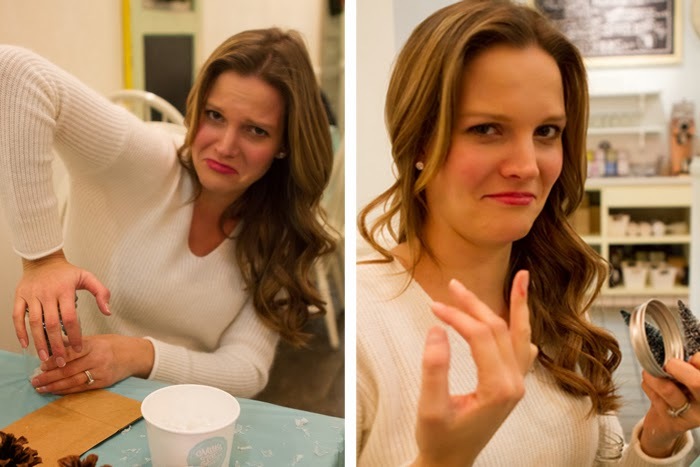 What a fun crafty evening. Those cookies look amazing. HOLY COOKIE. I am very excited to be reading your blog, Amanda!